Качаем репу с Племена Крутогорья до превознесения. После чего за каждые 10к репутации дают Припасы Крутогорья, с которого и дропается даный маунт. совершенно обычный и при этом НЕ летающий лось. Увы..
В отличие от красивого драка от валарьяров. При дропе 7% у меня зафиксировано 29 неудачных попыток. Маунты остальных фракций выпали уже по несколько раз. "This will make a fine addition to my collection"
Ooook , yet another moose mount, i get that this will be fine for those who want a regular plain moose and don't like the idea of riding a spirit/nightmare beast/grove warden/albino beast of legend of sorts. This was the perfect opportunity to add an Eagle flying mount and you wasted it on a moose. I hope we're not going WoD with recolors once again. I hope this one doesn't have the same problem as the leatherworking moose mount, where everyone sits in the air a solid eight inches off the saddle, and players don't even animate correctly while riding, instead sort of pitching back and forth rigidly. Старорог Крутогорья is a low-drop from the 7.2 post-exalted (paragon) emissary chests, specifically from the Припасы Крутогорья. I have a love-hate relationship with this mount. I LOVE this mount because my tauren main was destined to ride it. 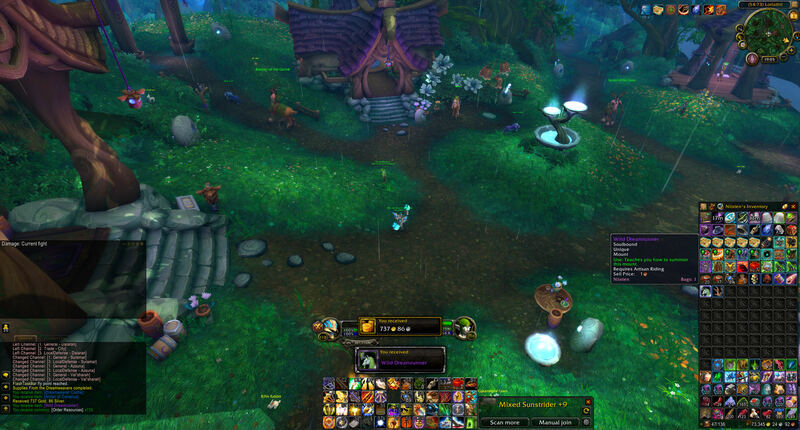 I HATE this mount because I swear it runs lopsided to the right (ie, it looks like it's limping on the right side). Припасы Крутогорья . In this supplies there is a small chance to get the Старорог Крутогорья. 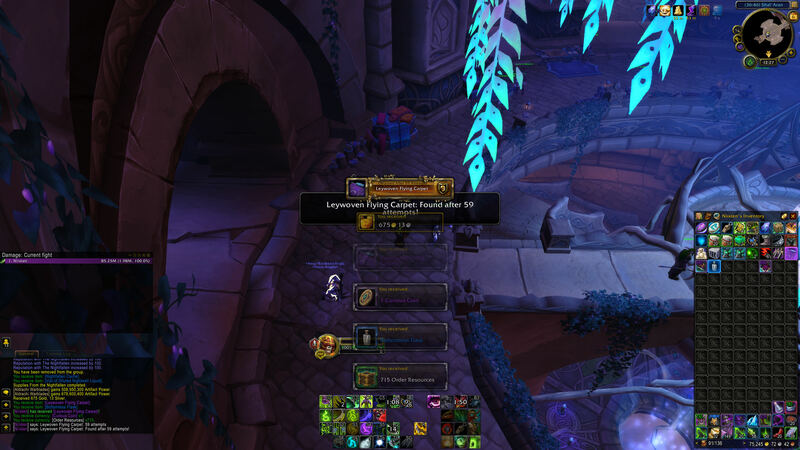 Just like high mountaion, all other legion reputations have this "special farm sistem" and each 10k reputation farmed you get a box with a small chance to get a mount/toy/pet - depending the box you open, its one special reward. Nightfallen reputation - Тайник помраченных - small chance to receive this mount Сотканный силой ковер-самолет. My guess about the drop rate of the special itens is about 5~10%. I will show my farms numbers and you can take your own conclusions. All mounts should be able to fly in WoW. I don't understand why the team makes some non-flying mount. It's not Diablo III man! This mount seems to be the hardest to get. 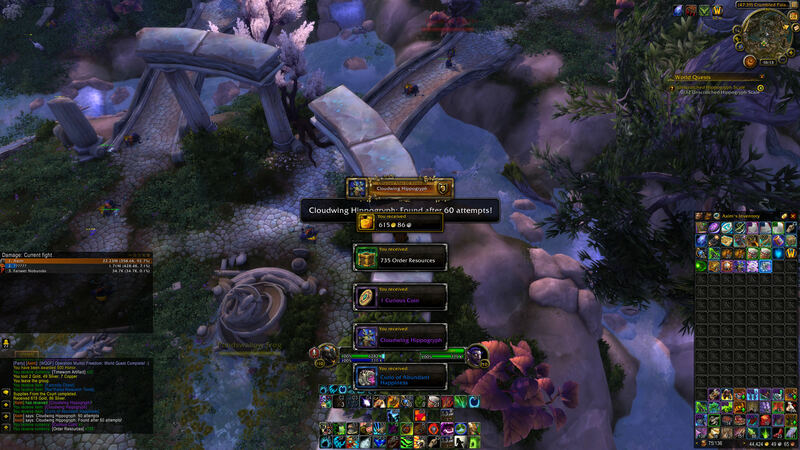 I havent seen anyone with the mount and no one I know has it. I have every mount but this one. 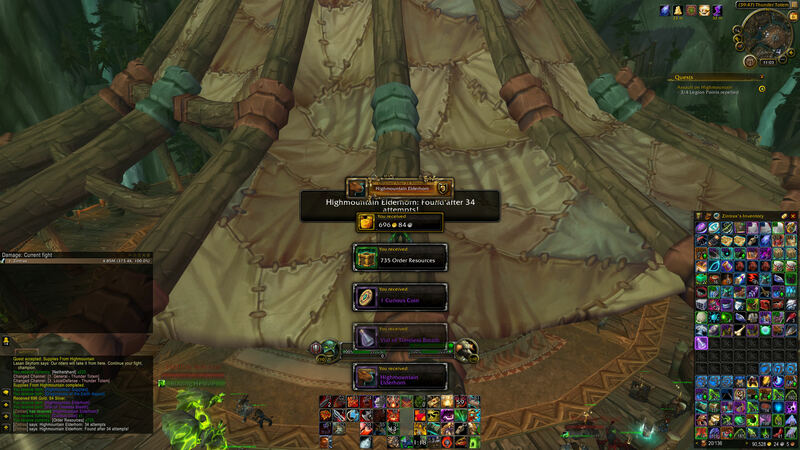 Up to over 20 bags opened for Highmountain and nothing yet. I just got this and Дикий сноходец from Paragon caches today. It could be coincidence, but I hope it is instead because they greatly increased the chance of getting the mounts/pet/toy from the Paragon caches. At last, I can convincingly portray Thranduil, King of the Woodland Realm! Good news! if you get a duplicate one on an alt or something it vendors for 1 copper! So. All the other paragon mounts fly except for this one. WTF, blizz? I did 30 times. I opened 30 different boxes in Legion whole time and now BfA. Why didn't you give this shiny mount? 30k rep. and you've been give nothing. This is nonsense. Freaking RNG. "Это любимые скакуны охотников Крутогорья. Они с легкостью перепрыгивают бурные реки низины Сосновых Скал даже под седлом взрослого таурена."